If you think about Switzerland, most of us think about luxury watches, skiing holidays, tasty cheese, fine chocolate, and, of course, banking. And that's right. Because the finance industry, that is banking, asset management and insurance, counts for about 14% of Switzerland's gross domestic product and is one of the largest Swiss economic sectors. If you think about Switzerland, most of us think about luxury watches, skiing holidays, tasty cheese, fine chocolate, and, of course, banking. And that's right. Because the finance industry, that is banking, asset management and insurance, counts for about 14% of Switzerland's gross domestic product (GDP 2016; including secondary effects) and is one of the largest Swiss economic sectors. Swiss banks enjoy an outstanding reputation among clients all over the world, and there are countless legends and myths connected to the banks of this alpine country. In this article we'll have a closer look on the most popular of them, and see, which services Switzerland's banking system offers to its clients today. Banking in Switzerland dates back to the early 18th century, when the first private banks, mainly in Geneva, Berne and Basel, were established. Some of them, like Lombard Odier or Bank Sarasin, are still active today and play an important role in Switzerland's banking business. However, the main foundations of the Swiss banking, as we know it today, were laid during the second half of the 19th century. It was the time when Switzerland transformed itself from an old-fashioned agricultural country into a modern, industrialized and internationally active economy. World-famous brands like Nestlé or Lindt & Sprüngli started their businesses, pharmaceutical leaders like Hoffmann-La Roche, Ciba-Geigy and Sandoz (now Novartis) began with their scientific work, and engineering companies like Oerlikon, ABB and Schindler made "Swiss Precision" a world-wide accepted synonym for technical excellence. The main tasks of the banks at that time were financing the growth of the companies and providing payment services to corporate clients. Especially the construction of the Swiss railway system, which until today is regarded as one of the best and most efficient in the world, was mainly financed through credits provided by Swiss banks. But in parallel with the economic growth, the funds owned by private persons were growing also, and the wealthy individual clients were looking for more rewarding investments than simply a saving book. This was the time when the idea of Swiss private banking was born. For these clients, banks started to offer comprehensive asset management services, including the active administration and decision-making on how to invest the client's money in the most suitable way. The liberal and strictly neutral Switzerland, with its open minds, democracy and independant jurisdiction, invited addtional clients from foreign countries to bring their assets to Switzerland too, many of them for political reasons. Don't forget that in 1880, almost all European states still were monarchies (some of them quite unpleasant), and only Switzerland was a single exception. Especially from Russia, there was a large Russian community at the sunny shores of Lake Geneva and Lago Maggiore, with such "celebrities" like Wladimir Iljitsch Lenin, Leo Trotzki and Michail Bakunin. But on the other hand, Switzerland hosted personalities like Leo Tolstoj, Gogol, Turgenjew and Dostojewski, who wrote in Geneva his famous novel "The Idiot". And the dare-devil action of General Alexander Suvorov, who took the risk to cross the Swiss Alps in early winter 1799 and successfully defeated Napoleon and relieved the Swiss Confederation from French occupation, is still tought today to every schoolchild in Switzerland. Today, Switzerland's financial industry consists of about 261 banks, 209 insurance companies and approximately 2000 Independent asset management and trustee firms. 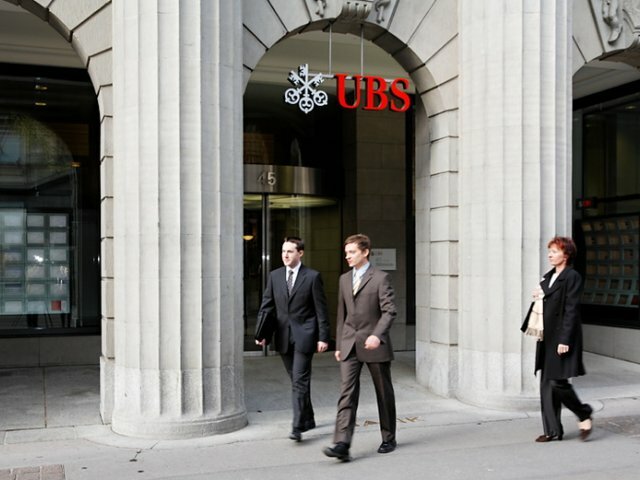 Swiss banks enjoy an excellent reputation for security, confidentiality and trustworthiness from clients from all over the world. Professionalism, elaborate risk management, high capitalisation and a perfect working environment and infrastructure are some of the reasons for success of Switzerland's financial institutions. "We are of the view that the Swiss economy is highly diversified and competitive, with a high degree of market orientation. It benefits from stable past and projected GDP growth, which has strengthened its resilience to adverse external influences, including the global recession in 2009. Its GDP per capita (US$64,000 in 2009) is among the highest worldwide, and unemployment and inflation are both consistently low. The government's finances are robust, underpinned by a stable and predictable political environment, even though the consensus-driven political system sometimes slows down decision making. Swiss banks demonstrated a conservative risk and lending culture throughout most of the domestic banking system. They maintained fairly low loan-to-value ratios, low delinquencies, and historically conservative risk provisioning." Switzerland's banks can be classified into 3 major categories: Globally active universal banks, the cantonal banks and the so-called private banks, which specialize in wealth management and services for high-net-worth individual clients. The universal banks, namely Credit Suisse and UBS, are engaged in all areas of banking, commercial, investment and private banking, and have subsidiaries in many foreign countries. The cantonal banks are also universal banks by their business model, but are fully or at least majority owned by the Swiss canton, in which they reside. Their business operations are normally limited to their home canton. 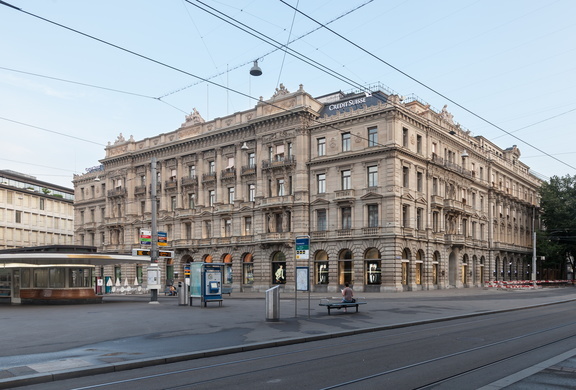 What makes the cantonal banks very attractive is the fact that deposits and bonds from these banks are 100% guaranteed by the Swiss state (except the cantons Vaud, Geneva and Berne). Private banks are specialized on services for wealthy individual clients. The larger ones, e.g. Bank Vontobel, Julius Bär or Union Bancaire Privée, are partly active in the investment banking business too, and accept clients beginning with as little as 500'000 Swiss Francs in assets. However, the majority of Swiss private banks consider 1 mio. Francs as a minimum deposit. Swiss banks are tightly supervised by the Federal Banking Authority FINMA in Berne and are required to have considerably better capitalisation than their competitors in other countries. While international standards require banks to hold a minimum Tier-1 capital ratio of only 6%, Swiss banks must have a Tier-1 core capital ratio of at least 15% (exceptions only for state-guaranteed cantonal banks). Combined with the traditional low risk-taking of Swiss bankers, the high capitalisation and liquidity ensures that Switzerland's banks can withstand even major international crises without endangering their clients' assets. A very interesting and profitable business for Swiss banks, which is virtually unknown to outsiders, is the financing of commodity trades. Only a few experts know that Switzerland, which has almost no raw materials of its own, is the world's largest dealer of crude oil, industrial metals, coal, grain and oil seeds. In the town of Geneva alone, one-third of the world's crude oil is traded, by merchant companies like Vitol, Cargill, Mercuria or Gunvor, to name only the largest four. Names which probably say nothing to most of our readers, but each one is a multi-multi-billion dollar company, with an annual turnover larger than Russian Gazprom! The commodity giant Glencore, the world's largest raw material trader, which resides in a small Swiss town named Zug (ca. 28.000 inhabitants), at least sometimes makes it into the headlines of business newspapers. An essay on Swiss banking would not be complete without a look on the banks of the Principality of Liechtenstein, Switzerland's tiny eastern neighbour. Being a souvereign state of its own, Liechtenstein uses the same currency like Switzerland, the Swiss Franc, and is in a close customs union with Switzerland since 1923. Although Liechtenstein has its own banking supervising authority, the FMA in Vaduz, most of its regulations are similar to those in Switzerland. The average core capital ratio (Tier-1) of Liechtenstein's bank is even higher than in Switzerland, namely 21,6% (2016 FMA data). This is due to the fact that the primary business of Liechtenstein's banks is private banking and asset management, which traditionally carries a lower credit risk than commercial banking. Liechtenstein banks follow the same conservative and low risk business model as their Swiss counterparts and can be regarded as very safe and stable instititutions. The two most important banks in Liechtenstein are the LGT Bank, which is owned by the Princely House of Liechtenstein (and by this has a kind of de-facto state guarantee), and the Liechtensteinische Landesbank, which is Liechtenstein's universal bank and has a formal state guarantee like the Swiss cantonal banks. All banks enjoy top ratings by the international rating agencies, but are considerably smaller than their Swiss competitors. However, their smaller size can offer an advantage of flexibility, if specialized banking services are requested. In this article we told about history and current times of one of the most stable banking systems in the world. In our next article we will confirm or break the most popular myths about Swiss banks. Don’t miss exclusive information at Glagoliza News. For more information on this issue you can click “Ask the experts” button below. Acknowledgement: Glagoliza News thanks Benesteem Executive Consulting Service, Switzerland for providing expert information on this issue. Новые требования к компаниям в оффшорных юрисдикциях, АОИ: чего ожидать российским инвесторам? Megayacht in Mediterranean Sea: Tax Aspects. Part II. Glagoliza News is an indepent news portal focused on up-to-date and reliable information about world economics, investment and business affairs. Managed from Switzerland, Glagoliza's mission is to provide un-biased facts, together with in-depth insights and background information about current business and economic developments, and to be a competent source of information about all aspects of successful investment decisions and management. And as business is not all of our life, we at Glagoliza consider reporting about lifestyle, Central European cultural and society events, and exclusive travel as one of our more relaxing duties. Your comments, suggestions and opinions on our work are greatly appreciated. Please feel free to send us your message . Copyright © 2017 - 2018 Glagoliza News, Minusio (Locarno), Switzerland. All rights reserved.